Simon Williams, or “Swilly” as he is affectionately known in the industry, is undoubtedly one of the best surf photographers still practicing their art today. Swilly’s classic imagery has graced the glossy pages and covers of many a surf mag over the years, leaving their readers salivating at the pictured turquoise tubes and rippable walls that they may never get the chance to surf in their lifetimes. Where are you from? And where do you call home now? I am from the UK. I was born in Cornwall and I have lived on the Gold Coast for the last 30 years. What inspired you to take up photography, particularly surf photography? I did a surf trip when I was 16 to Sri Lanka for a magazine. They sent a photographer with us. The shots were ok but not amazing. It got me hooked on surf photography. I just knew I could get better images. How has your career as a professional surf photographer changed over the last 20+ years? Particularly with the ever increasing number of aspiring surf photographers, and the accessibility of cheaper and more intelligent photography equipment and editing programs? When I started shooting surf I shot on film. This gave me a good understanding of light and exposure. I really think most of the digital age photographers don’t understand light and really heavily on Photoshop. 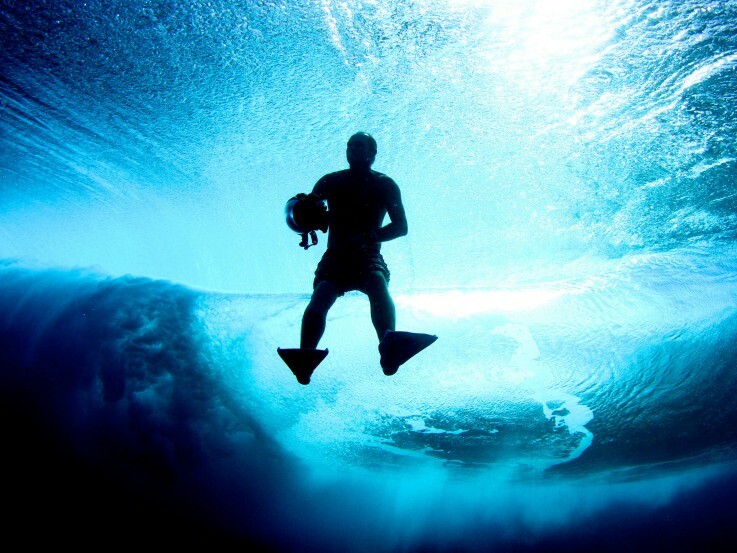 As one of surfing’s longest standing photographers, who do you look up to in your field? Without a doubt, Jon Frank, Ted Grambeau, Art Brewer. I also took a lot of inspiration from the master of the art, Ansell Adams and Henri Cartier-Bresson. Another photographer who influenced me was Karl Fehr, he really made me understand a lot of things. With your wealth of surf travel experience globally, tell us about a few of your favourite locations? Indonesia, the Maldives and Micronesia hold a special place in my heart. You are finally opening up your photography to the passionate public. What made you decide to start selling prints at such a late stage in your career? I was approached by one of my long term clients who wanted to collaborate with me on a website to sell prints. Up until that point I have been far too busy. With the recent cataloguing of your imagery over the last 20 years for your website, is there an image or session that stands out for you? My session at P-Pass with Kelly Slater and Andy Irons and friends was one of the highlights of my shooting career. My trips with Mick Fanning, Joel Parkinson and Dean Morrison have also been very special. Shooting epic surf from all angles, do you have a preference between photography from land, water or air? Water is my passion and particularly “under it”. I love shooting underwater images. Also love action shots. Hmmm actually love it all. Tell us about some of the difficulties you face, shooting waves of consequence from the water? Have you ever found yourself in a dangerous situation? I’m a strong swimmer and there have been times. The trick is a good helmet and a keen awareness and respect of your surroundings. With years of experience shooting the worlds ever-evolving best, who are some of your favourite humans to shoot? Asher Pacey, Bede Durbidge, Mick Fanning, Joel Parkinson, Matt Meola, Chippa Wilson, Kelly, Stephanie Gilmore, Dave Rastovich. The list could go on all day I love them all. Most people would consider you to have one of the best jobs in the world, splitting your time between incredible surf locations like P-Pass, the Telos, Maldives and your home on the Australia’s wave rich Gold Coast. What’s really gets you out of bed in the morning and excited? And what are the biggest challenges you face? Firstly, I have to make my wife coffee. Then it’s straight to the charts and the weather reports. I just love chasing surf. I’m constantly on the phone annoying all my surfers, planning and preparing my days. Tell us about your photography set up for land and water? What is your favourite piece of equipment? I shoot on a 200-400mm IS USM Extender 1.4x Lens with a built in image stabilizer on the land. In the water I like to use my fish eye. What advice would you give to aspiring surf photographers, looking to develop lasting careers in the surf industry? Follow your passion don’t listen to the doubters. My ability to keep frothing. David Bowie were he alive. Chat at the pub. Selling my first surf shot. Don’t listen to negative nellies. My home town of St Agnes, in Cornwall. Travelling with my wife and no kids. Shipsterns and remote Indo atolls. DHD Mini Twin and Gary McNeal Twinny. …all the new camera gear that Canon are making (every year).